I grew up eating Agar Agar jelly as a kid, and would always see it featured in some form or another at potluck gatherings with friends and family. Sometimes it’d be flavoured but most of the time it’s jelly with some fresh fruit inside. 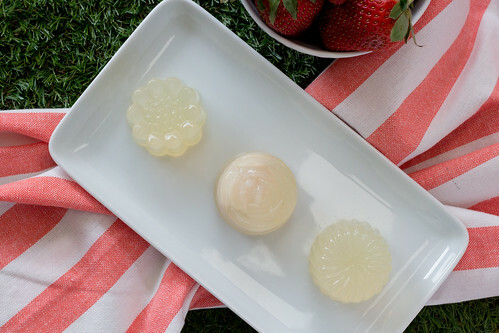 These agar agar jellies have a bit more bite to it, and it’s why you can use jelly moulds to make these because they should come out of the moulds with ease and still hold its shape. 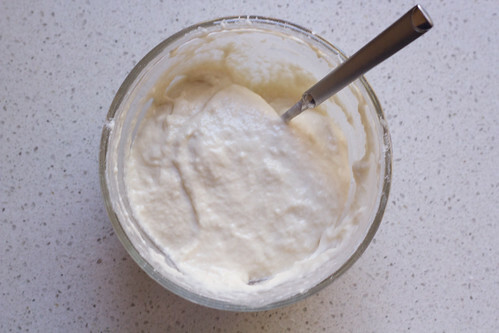 You can also use agar agar powder as a vegan substitute for gelatin so there’s actually plenty of uses for it! 1. 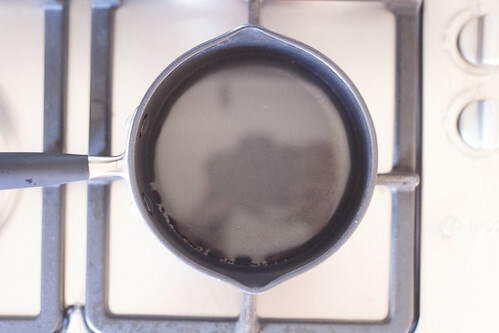 Place the lychee syrup and agar agar powder into a saucepan and heat over low/medium heat until agar agar powder as dissolved completely. 2. 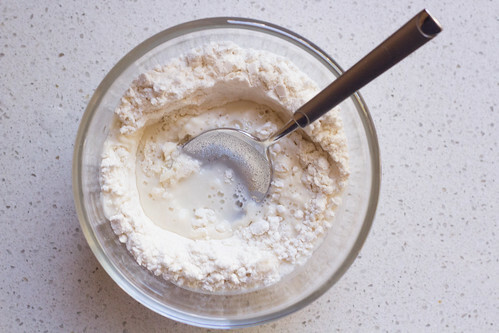 Pour the mixture into a measuring cup so it’s easier to pour. 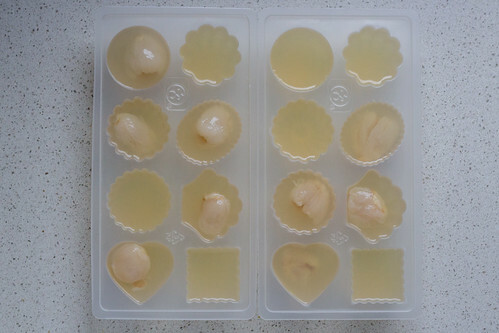 Place a lychee into the jelly moulds then pour the mixture into jelly moulds to the top. 3. 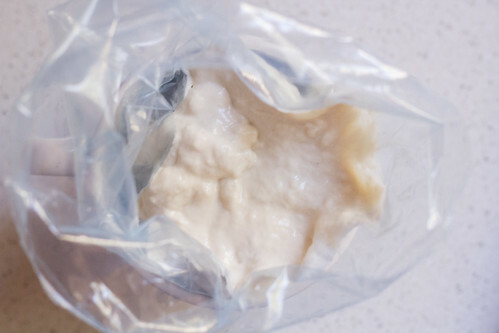 Place the moulds into the fridge for at least 1 hour or until set completely. 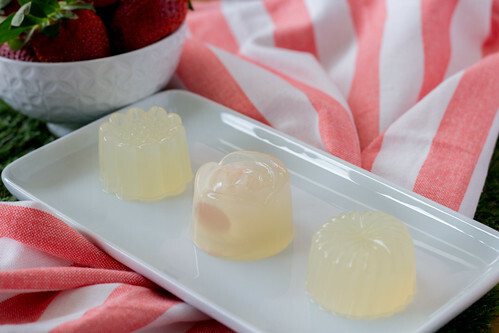 Take out of the fridge and push the jellies out of the moulds and serve with in a bowl with some leftover lychee syrup and lychees or by itself. Lychee flavoured agar agar jelly with lychees inside. A great summer treat. 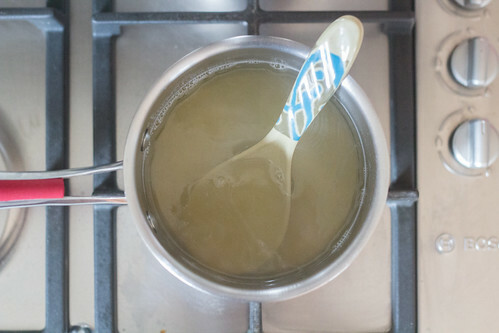 Place the lychee syrup and agar agar powder into a saucepan and heat over low/medium heat until agar agar powder as dissolved completely. 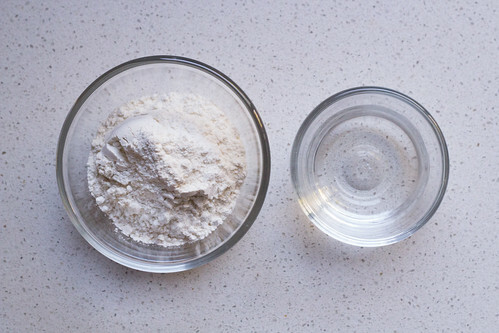 Pour the mixture into a measuring cup so it's easier to pour. 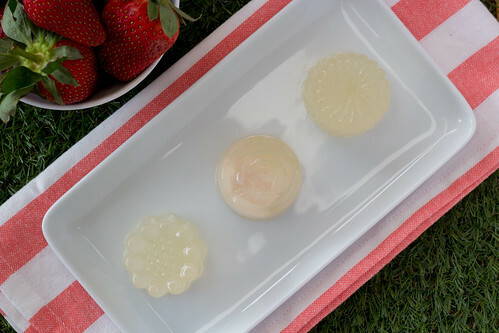 Place a lychee into the jelly moulds then pour the mixture into jelly moulds to the top. 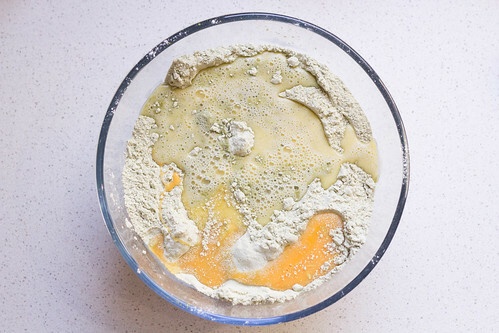 Place the moulds into the fridge for at least 1 hour or until set completely. 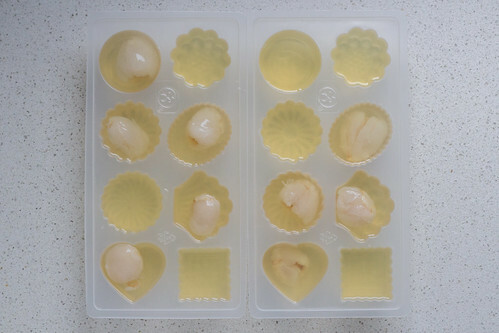 Take out of the fridge and push the jellies out of the moulds and serve with in a bowl with some leftover lychee syrup and lychees or by itself. 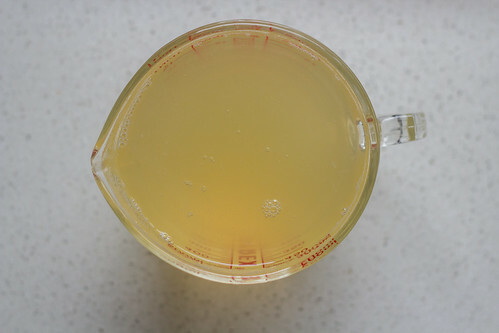 Instead of Lychee syrup, you can just use 600ml of water and add around 80g caster sugar. Adding more liquid would make the jellies more wobbly, but I'd recommend not using a jelly mould if you were going to use less powder or add more liquid as the jellies may not come out of the moulds. 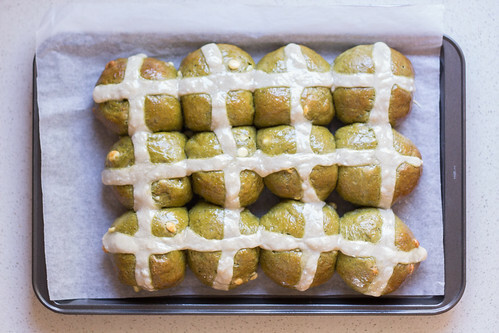 Having made the traditional hot cross buns many times before, I wanted to experiment and try something different this year. Of course, I thought of green tea, one of my favourite flavours. 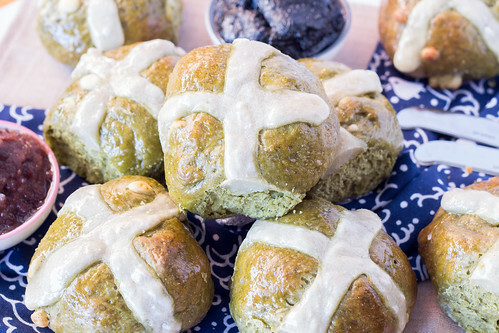 I came across quite a few recipes that paired these green tea hot cross buns with red bean paste or sweetened red beans, but I love the pairing of green tea and white chocolate. The bitterness of the tea flavour works well with the sweetness of the white chocolate and it’s not so far off from making chocolate hot cross buns. 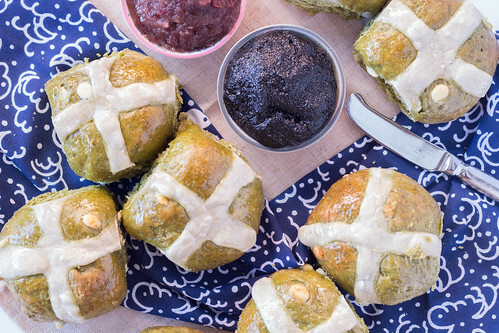 I bought some hot cross buns from my local bakery to compare with and these hot cross buns are just as or even more so, fluffy inside. Perfect warm, with a thin smothering of butter or even red bean or black sesame paste if you’re feeling a bit adventurous. 1. 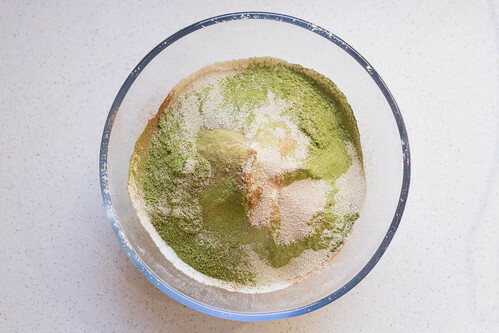 In a large bowl, sift the flour, caster sugar, matcha green tea powder, mixed spice and salt. Then add in the yeast and stir until mixed well. 2. 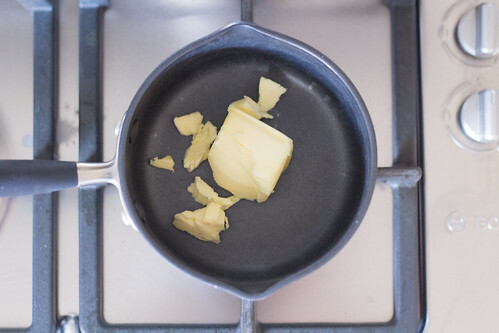 In a small saucepan, melt the butter over low-medium heat. 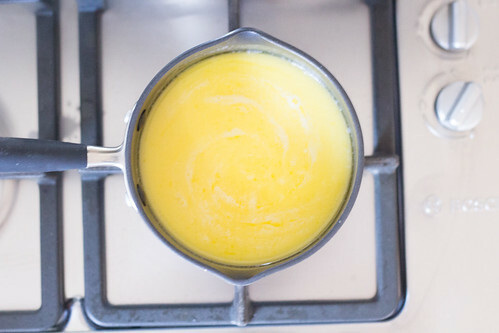 Then add in the milk and heat until the mixture is lukewarm. 3. 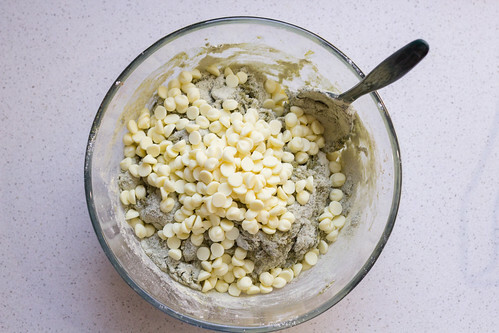 Pour the lukewarm milk and butter mixture into the dry ingredients, along with the beaten eggs and mix slowly until the dough starts to combine then add in the white chocolate chips and mix until the dough forms into a ball. 4. 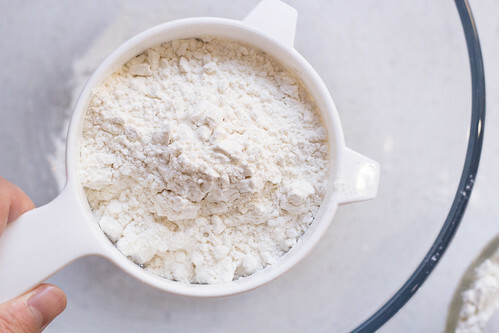 Take the dough out of the bowl and onto a floured surface, and knead the dough for around 10 minutes or until the dough is nice and smooth. 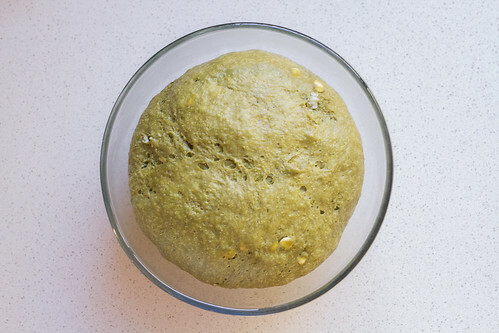 Place the dough into a large lightly oiled bowl and cover with plastic wrap. 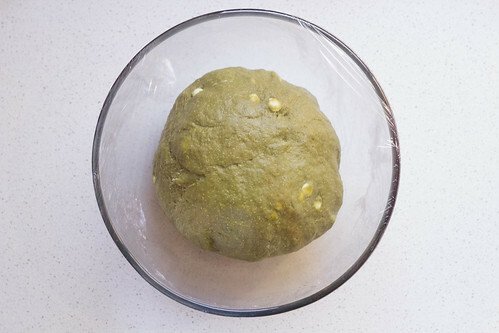 Set aside in a warm place for around 1 to 1.5 hours or until the dough doubles in size. 5. 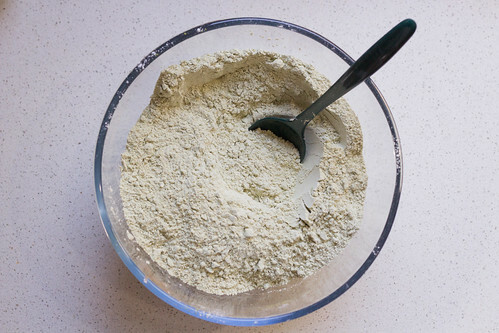 Once the dough has doubled in size, take it out of the bowl and knead the dough back to its original size. 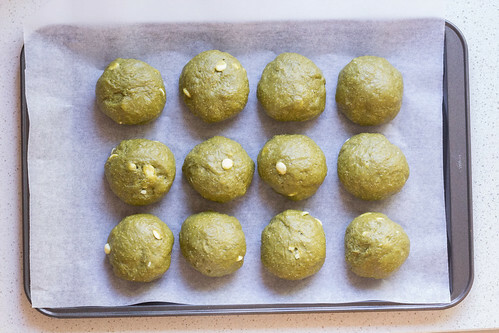 Split the dough into 12 equal parts (roughly 100g in weight) and roll into a ball. 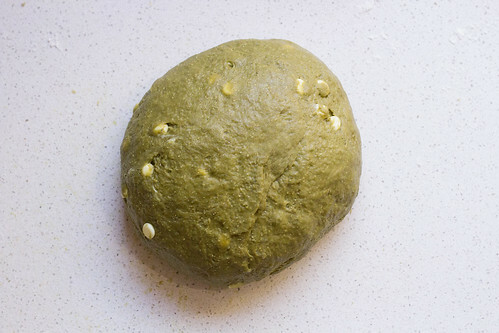 Then place onto a lined baking tray roughly 1 cm apart and allow the dough to rest for another 30 minutes. 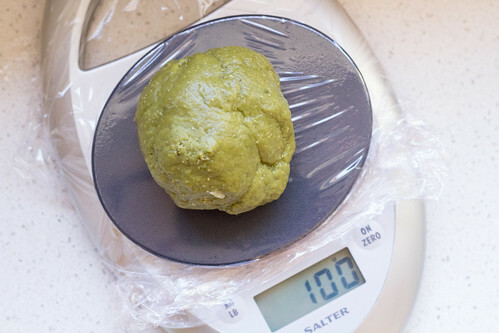 Once the dough has doubled in size again or near doubled in size, preheat the oven to 170?C. 6. 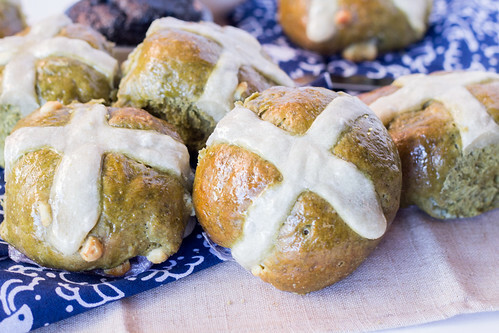 To make the crosses, combine the plain flour and water in a small bowl. 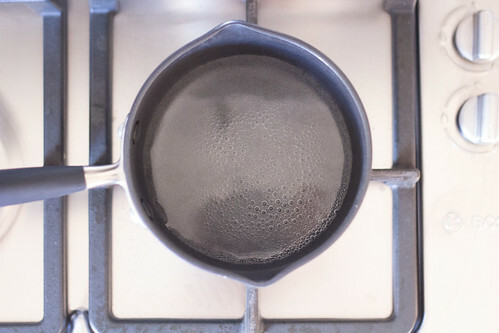 Add a tablespoon of water at a time until it’s just runny enough to pipe. 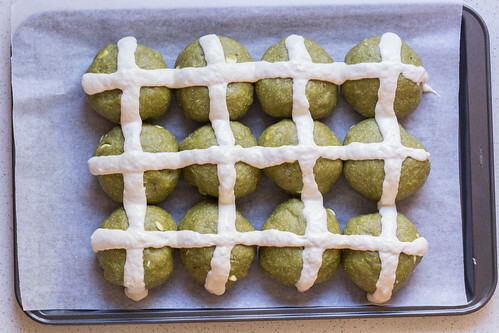 Place the paste into a piping bag and pipe onto the buns. 7. 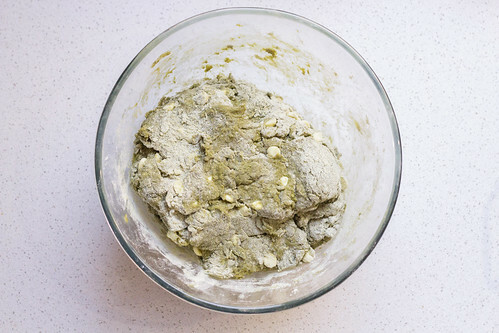 Once the dough has doubled in size, place in the oven to bake for around 20 to 25 minutes or until they have browned on the top. 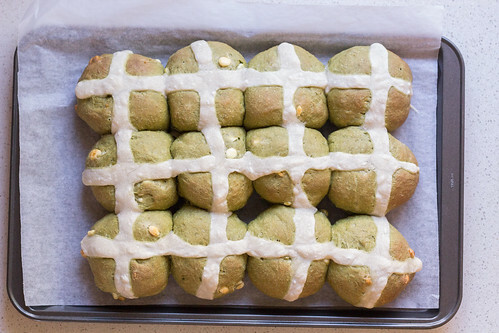 Remove from the oven and place the buns onto a cooling rack. 8. 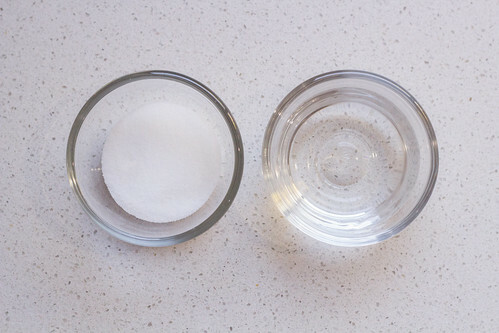 To glaze the buns, combine the water and caster sugar into a small saucepan and heat over low heat. Bring to the boil, stirring if necessary so that the sugar dissolves and boil for around 3 to 4 minutes. 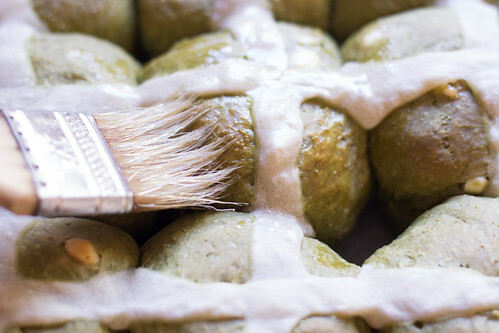 Brush the glaze onto the warm hot cross buns then serve the buns warm or at room temperature. 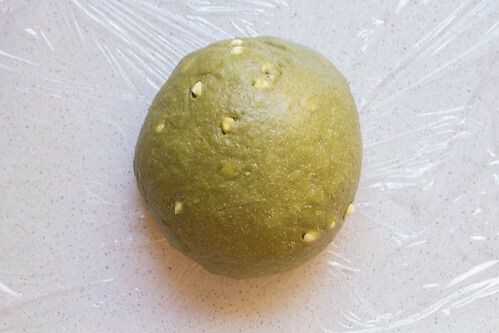 You can also 1 to 2 tbsp of azuki (red) beans or paste inside before shaping it into a ball and resting for a second time. 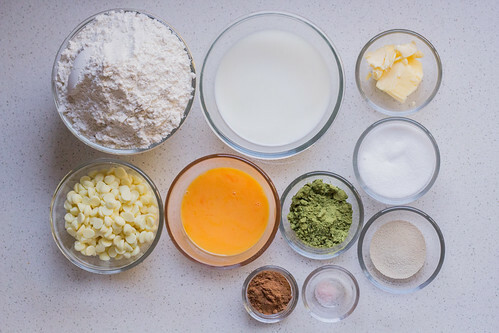 If you prefer something less sweet, use around 50g less of white chocolate baking chips but be aware that the bread itself isn't particularly sweet. 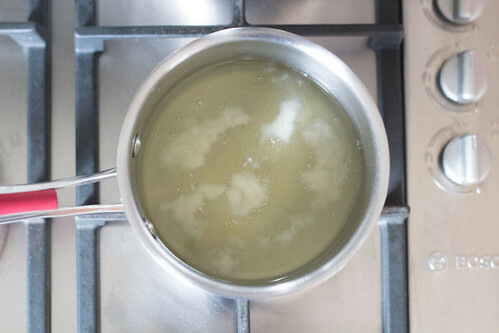 You can also make a glaze with 1:1 portion of apricot jam and hot water and mix it together to brush on the top. 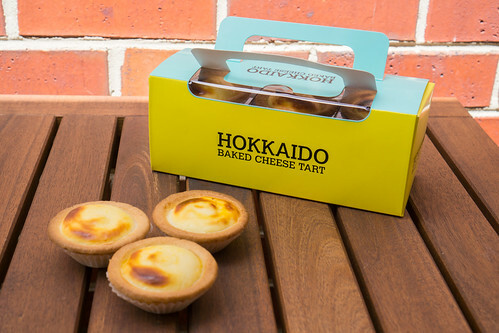 Hokkaido Baked Cheese Tart opened in Melbourne Central and Box Hill late 2016 with locations across Asia as well. Their stores only do takeaway, and it’s pretty much a one item store, only offering their cheese tarts for sale, but you can also grab a coffee with your tart too. 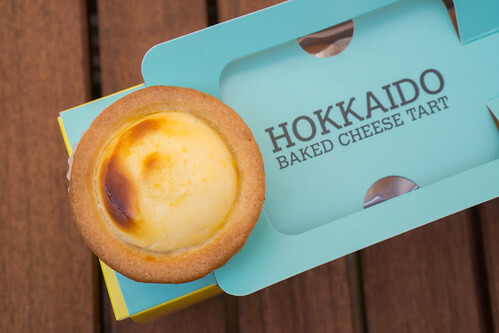 The cheese tarts have this amazing texture, it’s so creamy and light but not overwhelmingly cheesy. The buttery shortcrust pastry complements the filling well but I prefer the tart casing to be a bit thinner. Overall, it’s just creamy, cheesy, buttery goodness. 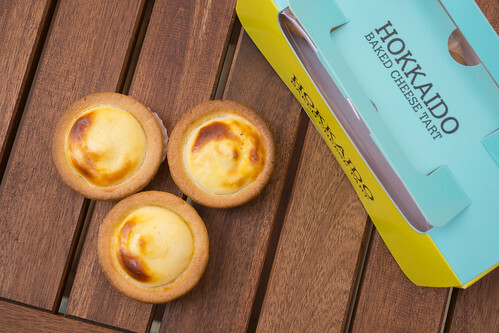 While the cheese tarts are honestly pretty darn good, I find the price just a bit too steep and especially so for the size of the tarts. Shanghai Street is famously known for their Xiao Long Bao. It’s one of the very popular eateries in Chinatown. 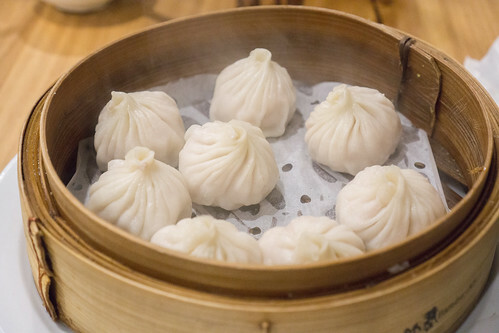 While Shanghai Street is known for their Xiao Long Bao, their menu is extensive with a variety of Dim Sum offerings, dumplings, wontons, noodles, rice dishes and soups as well. Their Xiao Long Bao has an incredibly tasty filling. It’s similar to that off a traditional Chinese dumpling, with the subtle taste of ginger. However, the bun is likened to that of a BBQ Pork Bun, which is light and fluffy. The combination is great, juicy pork filling with the fluffy exterior. Winner. 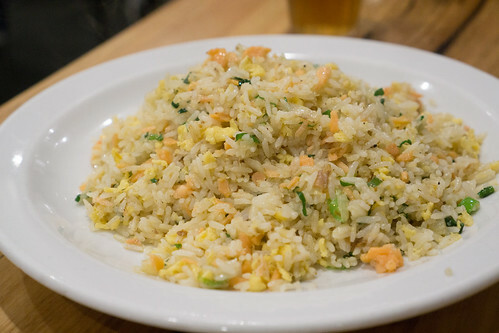 Shanghai Street’s fried rice is also very good. It has this very salty taste to but it’s very flavourful. 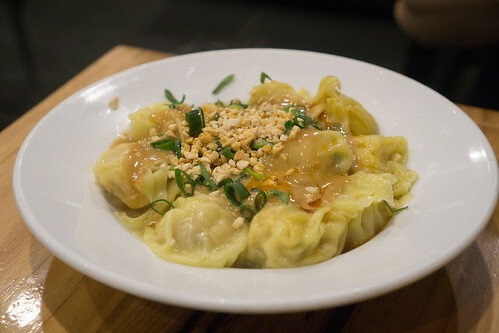 The Pork & Prawn Dumplings with a peanut and sesame sauce is quite interesting. A different combination that I’m used to and not entirely sure I like the mix of peanut sauce with dumplings. To be honest, I’d just have the dumplings with the standard vinegar/chilli oil instead. The filling was pretty good though, as it usually is with pork and prawns. Shanghai Street excel in dumplings and they’ll have me as a returning customer. 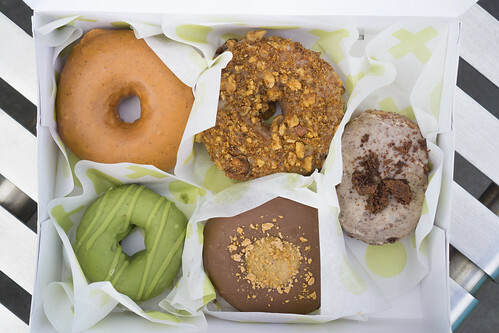 Shortstop is a popular donuts and coffee spot in the Melbourne CBD. 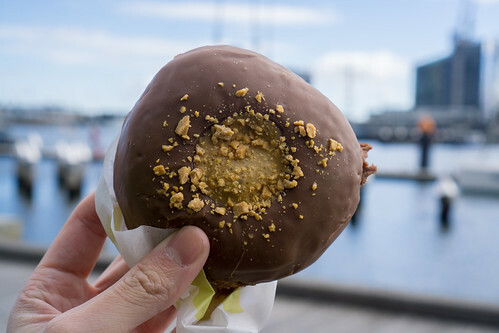 Located on Sutherland Street and walking distance from Melbourne Central Station, the donuts there tend to be sold out before closing time so I’d recommend getting in there early or pre-ordering! 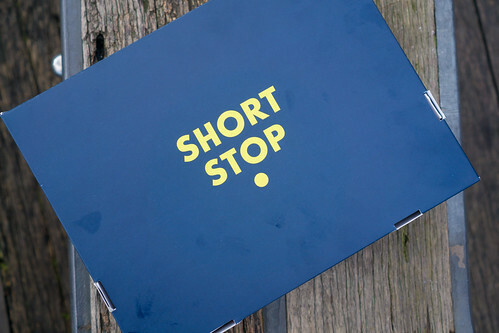 At Shortstop, they usually have around 10 different donut flavours to choose from and their flavours do also change from time to time. Whilst the flavours may change, they usually have at least one of each type of donut (Raised, Cruller, Filled and Cake). The first time I visited Shortstop I had to try all the different types. Obviously. I ordered the Thai Milk Tea (Raised), Maple Walnut & Brown Butter (Raised), Tiramisu (Filled), Cookies & Cream (Filled), Triple Matcha (Cake) and Australian Honey & Sea Salt (Cruller) which sadly, is not pictured above. The Cake donuts are as you would think by the label given. They are cake shaped donuts. 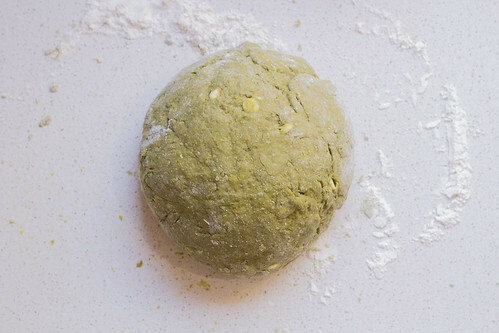 Freshly made, this Triple Matcha Cake donut is fluffy, with a bold matcha flavour to it with just a slight bitterness coming through. The white chocolate and matcha glaze is heavily on the sweet side but that’s par for the course for white chocolate and donuts in general. 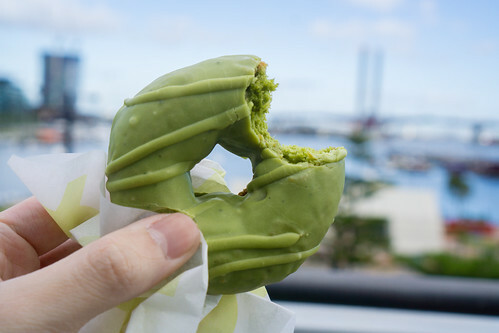 Love the matcha flavour but not the glaze so much. Eaten the Shortstop donuts fresh is amazing and I highly recommend you don’t keep the donuts for too long after as the texture, taste does change a bit. 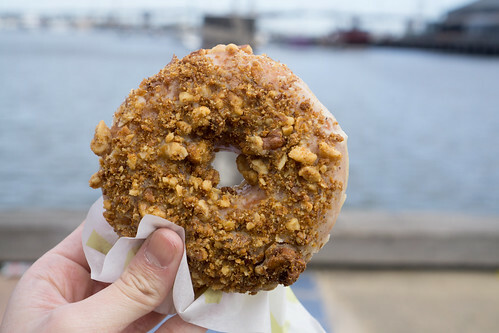 The Maple Walnut & Brown Butter Raise donut is incredible. Like the best damn donut I’ve ever tried. Crunchy and toasty maple walnuts with the just sweet enough brown butter glaze on top of this so fluffy raised donut it’s the perfect combination. 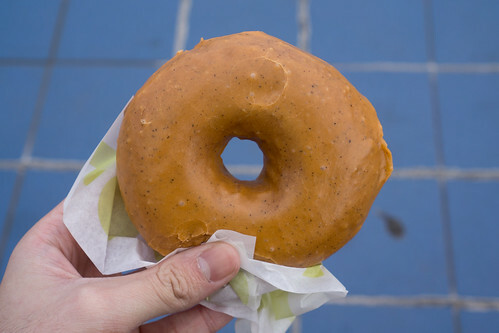 The Thai Milk Tea donut is interesting and in a good way. I love fusing Asian flavours with traditionally Western food so this one works for me. The Thai Milk Tea flavour does come through but it’s a bit more subtle than I would have liked but again the donut is top notch. Fluffy and not dry. 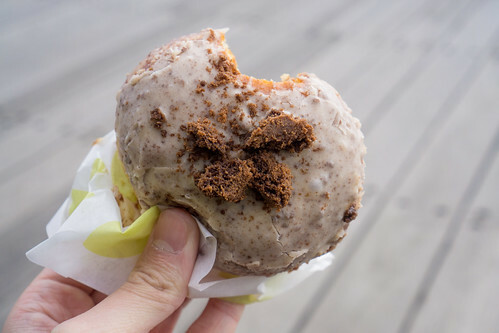 The Tiramisu filled donut has a lovely coffee cream filling inside. The coffee flavour is surprisingly intense and might be a bit too strong for my liking with the fluffy donut. However, for those that love their coffee creams strong, this one is for you. Usually you can’t go wrong with a Cookie & Cream flavour or filling, and this is no different. The Cookies & Cream filling is tasty, the flavour comes through perfectly and the cream is so light and delicious paired with the fluffy donut. 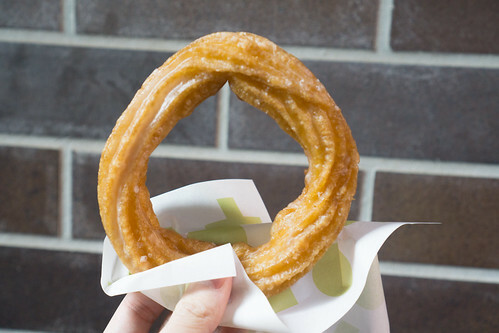 The Cruller’s are interesting. The texture of these donuts is quite airy which is nice, but the honey glaze is incredibly sweet. Too sweet to have the entire donut all to oneself to be honest. The sea salt seasoning does try and put the sweetness back in balance a bit but I wouldn’t order this particular flavour again. Interesting flavours and more importantly tasty donuts. Donuts done right.